At Ghekko Networks we know how important communications and interactions are when you run a hotel. That’s why we want to help you in choosing the best phone system and devices for your establishment. We offer an extensive range of hotel phones that will help you reduce your communications costs while enhancing the experience of your guests and staff. They are designed specifically for the hospitality sector, allowing staff and guests to communicate with ease. We carry a large range of analog hotel phones for your guest rooms and lobbies. These devices have been tailored to provide the best services to the hospitality industry. 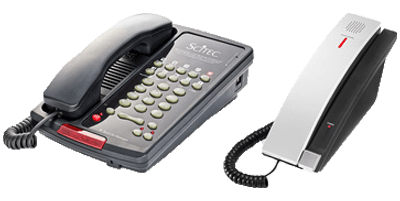 They can be connected to the analog or hybrid port of a PBX or to an analog landline. They are compatible with most PBX systems. Looking for IP phones? We can help you! Using an IP network could reduce your costs significantly as it's easier to manage and the costs of calls using SIP trunks are lower. At Ghekko Networks, we supply many IP hotel phones. Our portfolio includes brands like VTech, Cetis, Teledex, Telematrix and Scitec. 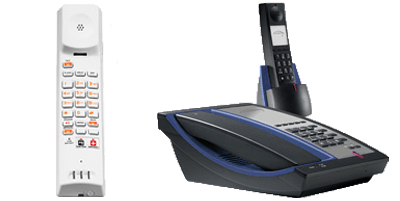 We offer a large range of corded hospitality phones: analog, VoIP, SIP, trimline or lobby phones. 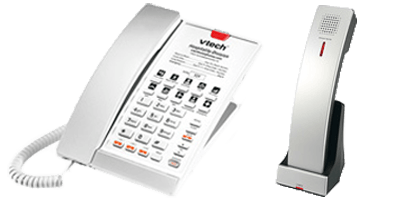 We mainly supply Telematrix, VTech, Teledex and Scitec hotel phones. Please take a look at our selection of corded hotel phones and contact us if you have any question! Looking for cordless hospitality phones? At Ghekko Networks we also offer a large selection of cordless hotel phones. 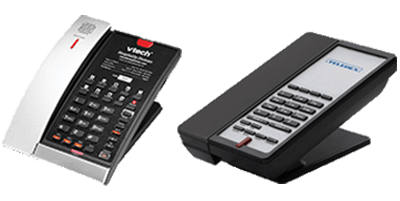 Have a look at our catalog of VTech, Teledex, Telematrix and Scitec cordless hotel phones. Don't hesitate to contact us for a quote or if you need more details.